SEO Design Framework™ - Feature-Rich and Pocket Light! Screencap of the SDF Page Builder in action. Software Version: WordPress 4.6, 4.5, 4.4, 4.3, 4.2, WordPress 4.1, WordPress 4.0, WordPress 3.9, WordPress 3.8, WordPress 3.7, WordPress 3.6. Documentation: Well Documented (Video Training and Documentation). Showcase retina ready images with responsive design on any device. Quickly and easily create custom layouts and designs to compliment your WooCommerce powered storefront. Built on HTML5 and CSS3 the framework runs on secure, solid, fast-loading code for optimal performance. Create complex designs with ease with the SDF Drag and Drop Page Builder. Instantly change the look and feel of your website with SDF Skins or even save and export your own designs. Create Global sitewide default settings and then override them on a page-by-page basis with Local Page Level settings. Create powerful site architecture search engines rank and reward. Background video, unlimited sidebars, display widgets, entrance animations, parallax effects and more. Easily implement link-triggered or timed lightboxes for opt-ins, images, videos, contact forms and more. Features: You Asked For It. We Built It. All of It! Bootstrap Page Elements ( Accordions, Tabs, Tooltips, Popovers, Buttons, Forms, Tables, Lists). Everything You Need to Build the Website You Want! Extended Admin Panel. Over 1000+ Admin options at your fingertips! Structured Code. The markup is HTML5 based and styled using the latest CSS3 techniques with Bootstrap Page Elements and Components. Fully Responsive. The SEO Design Framework has a fully responsive layout that adapts perfectly for all device resolutions like mobile devices, tablets and desktops. Limitless Colors. The SEO Design Framework includes backend color options for nearly every page element or section. You are able to change every element with ease and the overall design to create your own websites according to your corporate identity guidelines or individual preferences. Shapes. The SEO Design Framework also includes 10+ image shapes in combination with border radius variations and unlimited layout styles. 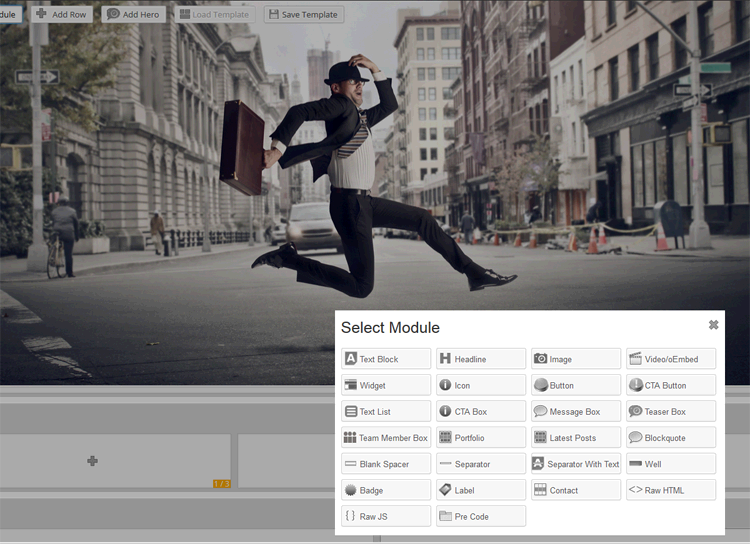 Choose one of 9 preset shapes w/ or w/o image frames and additional text content styling options. Portfolio Options. 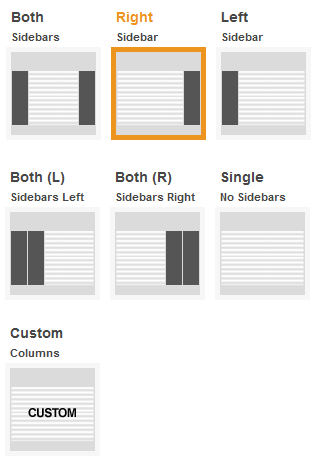 Providing 1 up to 6 column layouts with ajax filters and/or pagination for portfolio widget or SDF page builder module. Set custom categories per blog or portfolio. Google Fonts. 640+ Google fonts that you can add with ease to your designs. Localization. Theme is translation ready and comes with .po and .mo files that can be used for translating your theme to a language of your choice. SEO. Advanced Search Engine Optimization options. HTML5. This Theme uses a well-structured and semantic HTML5 markup which is great for high search engines ranking. Easy Customization. Independently customize the header, footer, navigation, titles, layouts and more on a page by page basis. Boxed or Wide Layouts. Implement wide or boxed layouts globally or at the page level with ease. Customization. Custom per-page styling functionality. Customizable header and footer with widget areas. Hassle-Free Design Tools. 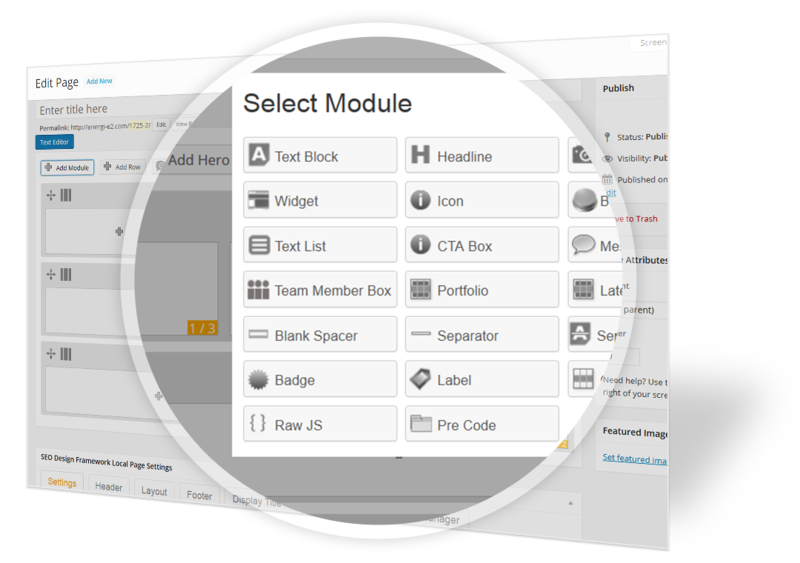 Portfolio Builder, Teaser Builder & Team Builder Module, Draggable Header Builder, Drag and Drop Page Builder. Website Silo Navigation (content only links to theme related content). Photo (Widget to Add photos to any static or dynamic widget). Contact Form (Contact Form with CAPTCHA, Subject Line and Input Area). Text Block – Easily style text, tweak justification, font family, size & more. Headline – Customize,headline, fonts, family, size, rotator scripts and more. Image – Add totally responsive images to pages / posts. Video/oEmbed – Add video or media content in a few clicks. Widget – Add any widget anywhere with unlimited sidebars. Buttons/CTA Buttons – Add a message next to buttons. List Styles – Create ordered, unordered list styles with dozens of icons and styles. CTA Box – Use the call to action box to add urgency. Message Box – Add a custom message on click. Teaser Box – Add text images and FontAwesome or Glyph Icons with ease. Team Member Box – Create a team member box with images, icons and more. Portfolio – Add portfolios to any page, post or layout. Latest Posts – Add latest posts with thumbnails, title or title and info. Blockquote – Add and style quotes, icons and author attribution. Spacer /Separators – Add blank or styled spacers. Separator w/Text – Add separators with text. Well – Add a well color to content areas. Badge – Add a badge to designs. Label – Add a label color callout. Contact Form – Add Contact forms to pages or posts. Raw HTML – Add HTML or scripts with ease. Raw JS – Add Scripts to page content. Pre/Code – Add pre code to pages/posts. How Often is the Framework Updated? We publish weekly code enhancements and revisions to accommodate 1) compatibility issues 2) bug fixes and/or 3) feature enhancements. To view update history please visit the SDF Changelog to see recent revisions. Also, the framework has an auto update feature that alerts you under Appearance > Themes > when a new version is available. As long as you have an active membership (renewed annually) then you can instantly unlock revisions via the auto-update function. Yes, the SEO Design Framework is responsive and the view-port area will resize to fit any size desktop monitor, tablet or mobile device. You can even determine the break points and set the dimensions and how assets are treated on different devices. Does it Have Drag and Drop Design? Yes, the SEO Design Framework features the SDF Page Builder that you can use to create custom layouts and implement changes with modules ranging from headline, text, video, contact forms, icons, buttons and more (all without coding). Can I Use the SEO Design Framework with Multisite? No, not at this time, but we will be releasing a Multisite version shortly. Is the Framework GPL Compliant? Yes, the framework is Compliant with GPL, so, if you need to make changes to the code, you are free to do so under the premise of GPL. Is the Framework Compatible with WooCommerce? Yes, SDF is WooCommerce compatible since version 2.0. Does the Framework include Localization Files? Yes it does. We’ve included en_US.po and en_US.mo files and you can translate to the appropriate language of choice. Yes, inside the members area there are hundreds of pages of product documentation and hours of video covering everything from simple site set up to advanced SEO training and tactics. Is the Framework Search Engine Optimized (SEO)? Yes, the framework and themes are built SEO friendly, but when combined with the SEO features of our SEO Ultimate plugin, unparallelled options exist for everything from managing meta data, indexation, social media sharing, internal-linking, canonical issues and more. Have a Minute? Good… Watch This. Build optimized websites that rank higher and look great doing it. Save time, create unlimited crisp, professional designs on a solid platform that’s evolving daily to meet the needs of demanding power-users who want and expect more out of their WordPress theme.